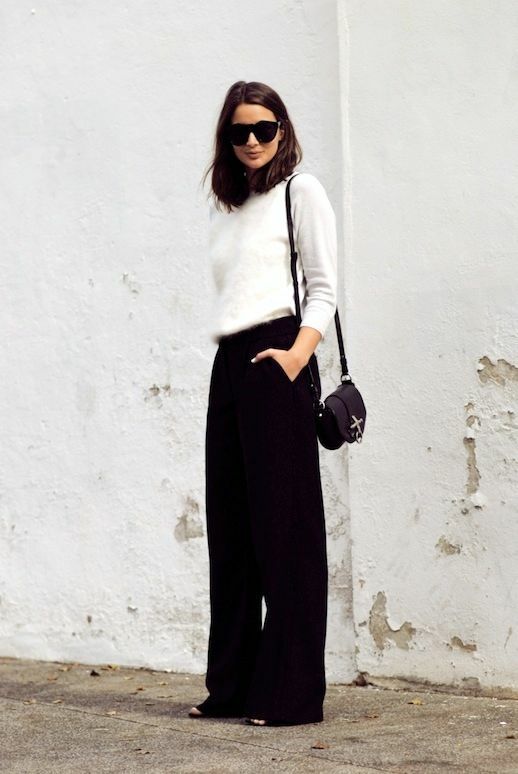 Skinny pants have held the trophy for years, but now, the wide-leg pant is making a resurgence. Charged with the ability to lengthen legs with a great pair of heels or slim curvier hips, it's no surprise that the shape is becoming a favorite. Sara is casual-cool in a black pair of her own along with a white fuzzy sweater. Although this look is minimal, it certainly makes a statement.